‘What the bucket ... !’ exclaimed Teo, and then she too was silenced by the prospect that began to emerge in front of them as the Londoners darted about like fireflies, lighting ornamented gas-lamps. 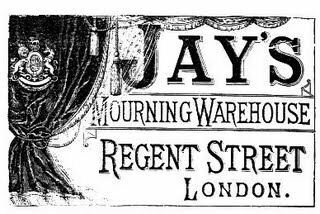 ‘A warehouse full of mourning vestments’ did not even begin to describe this Aladdin’s Cave of jet-black merchandise. The walls of the Mansion Dolorous were divided into towering caverns warmed by glowing grates at regular intervals. Racks of dresses stretched into the distance until they congealed into a slew of blackness. 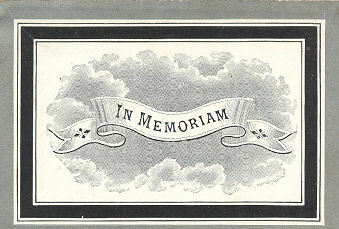 There were solidly packed shelves of black-edged stationery, visiting cards and envelopes. 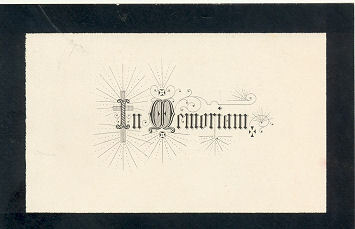 Teo glimpsed a card that read, ‘You are desired to accompany the corpse of …’ with a blank left for a name. There were perfume bottles bedecked with black ribbons. Black gloves were neatly folded on trolleys next to rolls of black braiding trimmed with beads and sequins, black fringes, silk and jet drops. There were crisply pleated silk mourning fans mounted on ebonized sticks, black feather boas coiled in rustling black nests, and white mourning handkerchiefs embroidered with black teardrops. 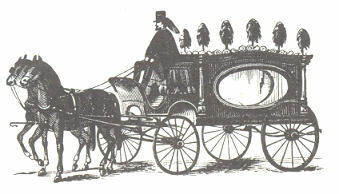 There were mourning cockades for coachmen’s hats. An immense haberdashery cupboard was honeycombed with compartments for black hairpins, black rosettes and black armbands. Mourning jewellery winked sombrely from glass-topped cases. Renzo and Teo bent over a display of brooches made of human hair plaited and shaped into patterns and set behind glass. Other brooches showed dim daguerreotypes of sad faces. There were gold mourning rings inset with black enamel, grey and black pearls, shiny jet bracelets, scarf pins, tiaras, jewelled and feathered hair combs, lockets, pendants and cameos with white profiles etched on onyx backgrounds. There were mourning lampshades in Chinese pongee silk and mourning bookmarks embroidered with forget-me-nots and doleful poems. There were black funeral teapots and associated teaplates, and even a mourning ear trumpet in vulcanite, horribly reminiscent of a black bat. And immortal wreaths of flowers fashioned from Parian and silk, stiff and white under glass domes. 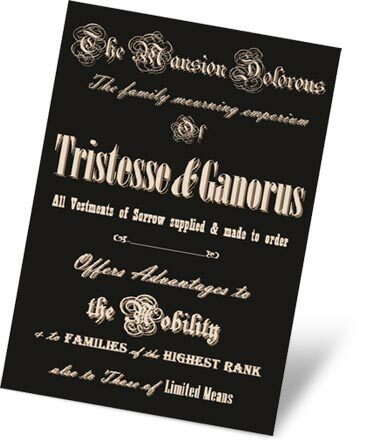 Tristesse & Ganorus’s Mansion Dolorous Mourning Emporium is invented, but it is very like two London magasins de deuil or mourning warehouses. 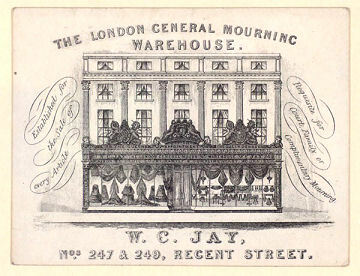 Jay’s London General Mourning Warehouse opened at 248-9 Regent Street in 1841. Peter Robinson’s Court and General Mourning Warehouse in Regent Street was founded in the 1850s. Even Harrods had a large mourning department, including coffins, gravestones and every possible item of mourning fashion. Dottridge’s in the East Road was the wholesaler for all funeral supplies. There, the coffins were made, the marble tombstones carved and funeral carriages constructed. Jay’s published its own heavily illustrated book by Richard Davey. 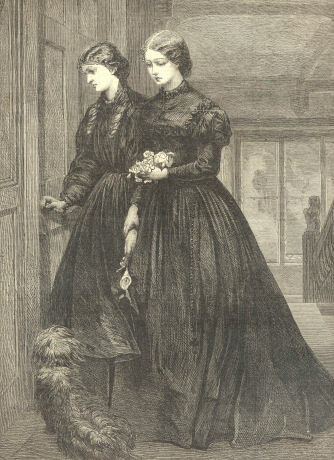 A History of Mourning describes the warehouse as a place where ‘people in the haste of grief can obtain in a few hours all that the etiquette of civilization requires for mourning’. That ‘all’, as this story shows, was a considerable amount. 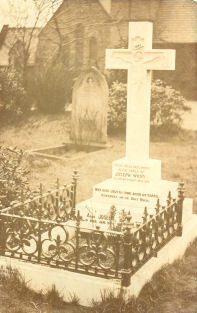 People desired a good funeral as a sign of their social station. Even very poor people would subscribe to funeral funds, also known as burial funds, to have the comfort of knowing that they would have a respectable ‘sending-off’ and not a shameful pauper’s funeral. There was a widespread belief in the profitable superstition that a brand-new mourning dress should be bought for each death. 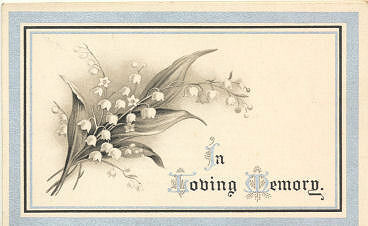 The rules of mourning were strictly observed in society. Briefly, a widow was expected to wear mourning for two years; the mother of a dead child, or a bereaved child, twelve months. 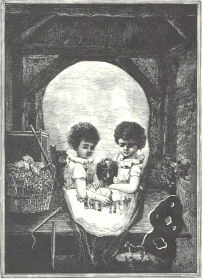 A dead sibling required six months’ mourning. But the etiquette and society magazines argued obsessively about the minor details of even these matters. The high point of extravagant funerals was probably in the 1850s. The Duke of Wellington’s spectacular funeral was the last word in splendour, and provoked something of a backlash. By the time of this story, the Victorians had begun to praise more modest arrangements and accoutrements, and to relax some of the more absurd refinements. The very stones of London seemed to quiver with unspent tears and ancient frights; the river drew back from its banks in an unprecedented low tide, like a bared grin of terror. Some of London’s long-suppressed ghosts began to grow more substantial, though still weak and uncertain of their own existence. They emerged from their hiding places and flitted about Kensington Gardens and Hyde Park, almost indistinguishable from the mist. But naturally, Queen Victoria’s death provoked a final run on the mourning emporia. On the days following her funeral, many people wore black. On the day of the funeral itself it was hard to see anyone not dressed in weeds among the crowds in London and Windsor. 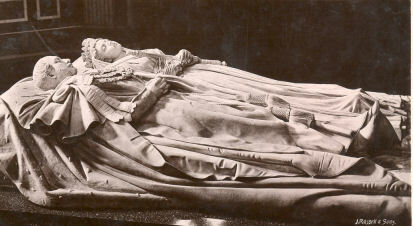 Queen Victoria herself, however, had specified funeral decorations in purple and white. At the end of the meal, Sibella produced a small,beautifully accurate black bear with button eyes and a dear little paunch. ‘Pray what is that?’ asked Mr Ganorus. ‘A Mourning Bear,’ replied Sibella.